Zone CCTV - based in Leeds, West Yorkshire. 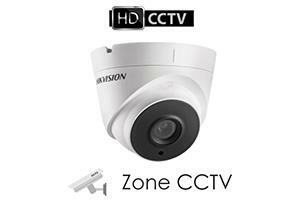 Zone CCTV are installers of home and commercial CCTV in Leeds, Harrogate, Wakefield, all within West Yorkshire. We are available 7 days a week, so feel free to call anytime! We specialise in HD CCTV and now even 4K cameras to produce a crystal clear picture. View cameras live from anywhere in the world! The cameras can be added to mobile phones or tablets, so you can view the cameras live. A free site survey is conducted by one of our experienced team members. The CCTV systems are tailor made for each individual property out of a wide range of options. Apart from CCTV, we can give recommendations to keep your property secure, such as burglar alarms, locks and lighting. We provide businesses with HD CCTV, new systems or upgrades. We have worked with many companies, restaurants, golf clubs, hotels, improving the security with HD CCTV. We have many references and photos of the work. All our work comes with 12 months’ warranty. We are silver partners with Hikvision for Yorkshire.